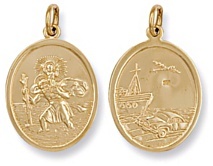 St Christopher dble sided 22mm diam, 5.0 grams. 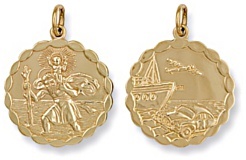 St Christopher dble sided oval large, 5.0 grams. 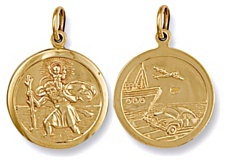 St Christopher dble sided bubble edge large, 5.8 grams. 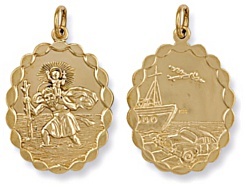 St Christopher dble sided bubble edge large oval, 6.8 grams.